The music of Mississippi Delta born, long term New York pianist/singer/songwriter Mose Allison has been part of the fabric of the patch-worked, musical soundtrack of my life for many years. When I first heard, ‘Your Mind is on Vacation (But Your Mouth is Working Overtime)’ I couldn’t believe any adult could be cool enough to, not only understood what teenagers Iike me were being told by adults, but were able to turn that travesty on its head and make me smile. But true art is always ambivalently balanced enough to handle the weight of countless projections without diminishing over time. Which is why it’s always preferable to be ‘cult’ rather than ‘hot,’ as this year’s big thing is invariably, destined to be tomorrow’s joke. Mose’s naturalistic songs manage to be both honest and funny, so responses to his music, across the board, are intermingled with as many chuckles as truisms, via laughter of recognition. Listeners take as much truth as they can own up to at any given time, so there is no such thing as ‘shelf life’ in relation to Mose’s outpourings. His songs would be as equally at home at a birth or wedding as they would at a funeral… Cyclical, upbeat, charming, disarming, that’s the music of Mose Allison. Puzzling punters sat among piles of half eaten pizza and partly consumed bottles of bubbly at long tables, posed for a big Friday night out. Many appeared to be work colleagues or family groups, from gramps to older grandchildren celebrating special occasions. Eager young couples and small groups of friends were seated at smaller tables down front, where they had no doubt, been sitting before beers for some time in order to be close to Mose Allison, who, given their obvious excitement, was one of their anti-heroes. We occupied a small table near the back of the room, opposite the grand piano of the man himself, behind the aforementioned, in close proximity to similar tables for two, strategically placed to maximize both customers and accessibility, where couples of varying ages and/or pair of retired (or not) mobster type men wined and dined. Waiters and waitresses rushed around the room, bringing food and drinks, or removing dishes, amid a steady stream of requests, while at our surveying table, anticipation abounded. The interval of a set which would have made up the full show for many other musicians, found Mose moving humbly about the room, and though I’d brought my copy of The Way of the World with me, in hopes of asking him to sign it for me, I changed my mind. The music was enough. Beautiful wavering chords, slightly reminiscent of Thelonious Monk’s off-key style, fine and mellow just the same from Mose on piano…For some – music to pick through half full bottles to. For me – bliss. Red hot strumming from the bass player and scattered beats from the smiling young drummer, who’s obviously chuffed to be playing in such well-seasoned, free-flowing company. The lushness of Mose’s warmly experimental piano playing emerges once again. ‘I guess I’m just a classic case of Dr. Jeckyll and Mr. Hyde’ he sings, and I realize there’s a potential Halloween classic I’ve missed out on, with words drawn as much from real life as fantasy. ‘How petty can you get?’ the song asks, ‘are you always that way? And does that make you a bad person?’ The quotes are mine, expressing/catching my reactions. Light walking on the keys to ‘Now Look What You Made Me Do’ – blame, ain’t it a shame? Is there any aspect of human behavior Mose misses? A number by New Orleans pianist Richard M. Jones ‘Trouble in Mind’ follows with the famous line, ‘Sun gonna shine in my backdoor some day.’ Mose is definitely not attention seeking, as his week in this one hundred or so seat basement venue demonstrates, as he could easily fill a major venue like the Barbican or Royal Festival Hall and be on his way after one night. ‘Just better knock on wood, I feel so good,’ yeah, know what you mean Mose, ‘All my friends are glad, I feel so bad.’ Mose says what we all feel sometimes. Go gettum piano, throbbing bass and brushy drums precede these lines, ‘You lie so good, You think it’s true, Funny how men can’t count on you.’ Later on the same song boasts, ‘I got myself a special crutch, Because I know so much.’ Sound familiar? Mississippi bluesman Robert Lockwood’s ‘Who’s Lovin’ You Tonight?’ finds Mose going to town on piano, teasing and tickling the keys alongside travellin’ bass. Duke Ellington’s classic (lyrics by Bob Russell) ‘Do Nothing Till You Hear From Me,’ a number perfectly suited to Mose’s easy going, matter of fact delivery, features appropriately pared back playing. A walkin’ intro takes us into ‘I’m a Certified Senior Citizen’ a stigma busting ditty I wish I could lay claim to myself. Makes so much sense when Mose sings, ‘Take a bus, everyday there’s more of us.’ Though somehow, I don’t believe Mose could ever have ‘Florida on his mind’. The baby boomers after him are getting there too. ‘No Need to Pretend’ seems to say ‘make sure what’s in your own backyard’s for real’, (quotes mine), which turned out to be really apt, as following his customary slow, steady murmur between lines, Mose launched into ‘In My Backyard.’ After a customarily peppy intro, we were collectively checking out that greener grass again with ‘How does it feel? (to be good looking/born wealthy/born lucky?) ‘with the good lookers never having any ‘problem getting a booking’ (stage or police record, one wonders). In his own, inimitable style, Mose steered us round the periphery of his trajectory with the lines, ‘People ask me how I spent my life…One wife…Just don’t drink the water, Don’t breathe the air… ‘, ending each passage with ‘I’m not downhearted, but I’m getting there,’ amid skipping drums, steppin’ piano and stridently strummed bass. ‘If the One You Love’s Been Stayin’ Out All Night’ a popular song from the ‘40’s by Buddy Johnson, originally sung by Elda Johnson, made me think of a brass band, some feat as there were no brasses in sight. ‘Catfish Blues’ by Muddy Waters seemed a fitting follow-up as in typical Muddy fashion, it defends a man’s right to be a son of a gun. The song gave way to smoothly definitive grooves, fashioned by Mose and company, and obviously dug by fans of both blues and Mose. ‘There’s Always Problems When a Man’s Wrapped Up in His Art’ could only have been written by Mose himself, who quickly and laughably added, ‘But don’t you worry baby, you can count on me to do my part.’ This number allowed for some rip roaring, rockin’ jazz blues, with each musician making their own little scene, with fine drumming standing out in the midst of great crowd response via cheering and applause. Encore time found audience members calling out song titles, old and a bit newer, though no one called out any titles out from The Way of the World. Naturally, Mose ignored all of the requests from the audience to sing this or that and did his thing - ‘My Brain’ from his latest release, on which he sings of ‘that cool little cluster’ that’s his brain, to the tune of ‘This Train’ a folk song synonymous with another time when we sang of escaping political tyranny, rather than dealing with what probably seemed irrelevant at the time – our own personality problems. ‘My brain, is losing power, 12,000 neurons every hour’ – huge laugh. Thanks Mose. I’d like to think we’ve all got ‘one cool little cluster’ but I’m sure there’s only one like yours. Mose Allison is one of the most unassuming musicians you’ll ever see. The way he sounds is the way he is – simple as that. His fans appreciate that, because they never have to put on airs to be able to get into his music. You might think Mose is no frills from that summation, but in reality, he’s all truth, no bull or attitude, always has been, from what I could surmise from vintage clips I’ve seen of him and what I’ve read. Don’t expect jokes when Mose performs, especially in relation to his own material - his songs do that for him, as they contain, ‘wait for it’ type punch-lines, though they’re ones always wreaking of truths we already know, but somehow manage to bury, for the sake of convenience, habit, denial or a combination of the three. If you go see Mose this time around, be prepared to be entertained and, enlightened - Mose sets illusions free. Got it? Good, now go get tickets to see Mose at Pizza Express Dean Street and while you’re at it, pick up his latest, great album (1st in 12 years – Mose is a non-commercial type of guy) The Way of the World. Things are never what they seem and Mose’s concert was no exception. A dolled up woman, hovering near, but not yet succumbing to OAPism, sitting beside a rather flash man of similar years at the table next to us leant towards me at the interval, her thin blond hair falling over one eye, ‘Know him? ‘He’s in his eighties,’ she quipped. ‘Not personally, I replied, but I’ve known his music for years.’ No response. However, it was gratifying and a good sign for the future to witness the solid row of youthful supporters seated down front, steadily grooving along with Mose’s drolly stated truths, unpretentiousness and warm, humanist humour. While I was watching, listening and appreciating his performance, it rebounded back home that we all need to look to the future, not with trepidation but a firm resolve to not only to be ourselves, but to take that self into places where others might benefit from whatever our gifts might be. 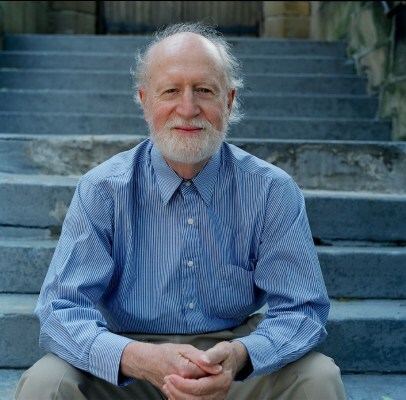 Mose Allison definitely has a gift for inspiring people, some of whom fondly look back with him, and a whole new, future facing group who’re living every Mosean moment.